If I had to describe this latest release from Melisma Records by Felipe Valenzuela and Jkco Mosqueira, featuring a remix by Ricardo Villalobos, I would say it’s outer worldly. The song invades the dance floor and spreads like an infection, but the kind you wanna get. “Different Bass”, the original mix by Felipe Valenzuela & Jkco Mosquiera, begins with it’s layers peeled back, as the bass line slowly cultivates, nourished by the sounds of lo fi frequencies, we can’t help but move. You know it’s a special track when there’s that one inflection that gets inside you and makes you addicted. The bass line did it for me here- it’s speaking to me and saying, “I’m kinda shy, but I like you… let’s do this.”… and that it did. Which brings me to the remix, brought to you by non other than Ricardo Villalobos, who never fails to deliver. He turns “Different Bass” inside out, echoing the cadence of the original version with a more minimal and hollowed out approach. He starts it off slow, wooing us into his space and then coming at us with just enough force to get our attention but not over power. Once we’re in his grasp, the song gets sweet, and we’re reminded of why we fell in love with this genius in the first place. Thank you Melisma for delivering such a special gem to the rest of us! 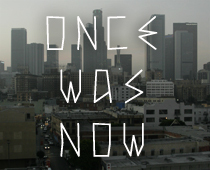 Once Was Now recommends~ Out on vinyl May 12th 2014.